Please welcome fresh members Attens and Martina Kay to the Abora family! 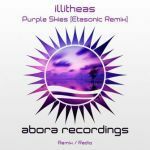 Debuting his journey on Abora Recordings, Attens is one of these unknown producers gifted with great talent. For his first release, he teams up with talented vocalist Martina Kay for "If You Find A Way". This release is composed of the original vocal mix and the dub mix. The original mix starts off greatly with a nice introductive melody and pluck pattern that combines really well with Martina’s first verses. 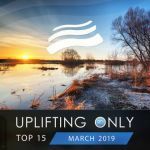 The breakdown is where things start to get serious, with its magnificent pads, its melancholic melodies and gorgeous atmosphere merging with Martina’s warm voice. 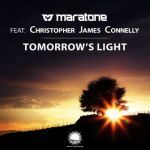 This is one of the rare releases that could remind you of the golden age of classic trance a couple of years back. The climax then kicks in with its impressive melodies and bassline, perfect to spice up whatever you’re doing whilst listening to this song. Following then is the dub mix, which is also perfect if you’re not a fan of vocals in trance or if you want to add your own acapella’s! The release also includes radio edits for the original and dub mixes. To sum up, Attens makes a very promising debut on Abora, by releasing a very original track, which of course, wouldn’t be possible without the talented Martina Kay.